I had the great pleasure of spending a few hours stamping yesterday with my lovely friend Deb Fearns. She was kind enough to let me have a bit of play with some stamp sets that will be available from the 1st of Feb, so I thought I would give you a little sneak peek at one of the cards I have made using this set called Dapper Dad. 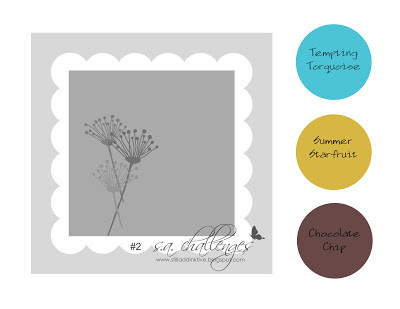 This card is also a very last minute entry for this week’s colour challenge over on Still AddINKtive. Summer Starfruit is still not a colour I like very much, and as such, this was a good challenge for me. Hope you are having a crafty week! Happy Stamping! Lucky you to have a play with some new goodies. 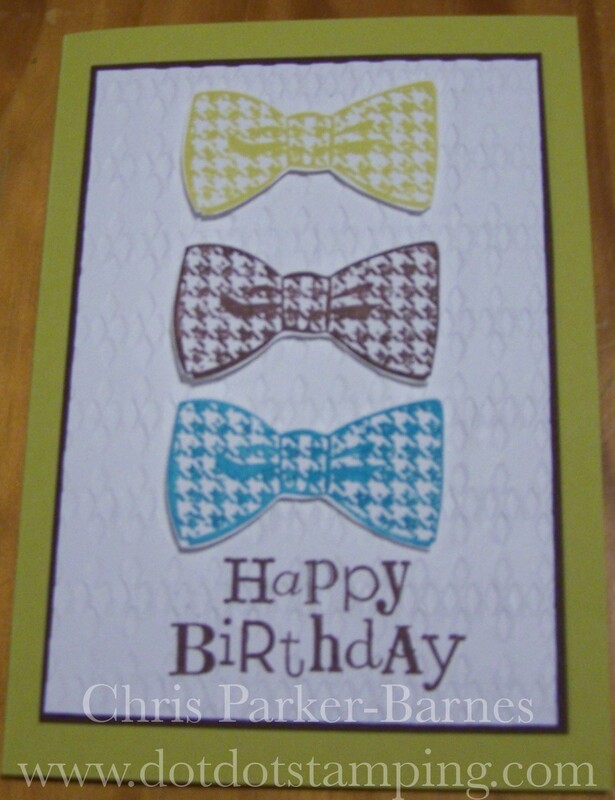 I love this cute bow tie stamped three times in the challenge colours – such a ‘retro’ masculine card. Glad you were able to play along again this week. I love your masculine card and the way you used the 3 bow ties in 3 colors. Simple, and very effective!